This was such a fun quilt. A month ago, Sherry brought me this Kaffe Fassett Fruit Salad (pattern from the book Quilts en Provence) quilt. 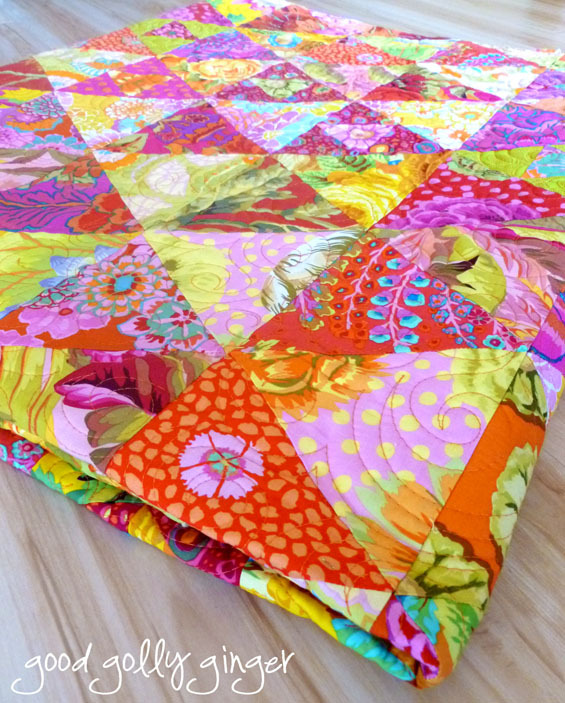 Oh, I love this summery quilt! It's a big quilt too, 84" x 93". So, it was difficult to get a full shot. Sherry chose to have it quilted with all-over free motion swirls...perfect choice. I used Isacord thread in apricot...a thread color that goes nicely with the whole fruit salad theme. Sherry, thank you so much for letting me quilt for you! How fun that must have been!! 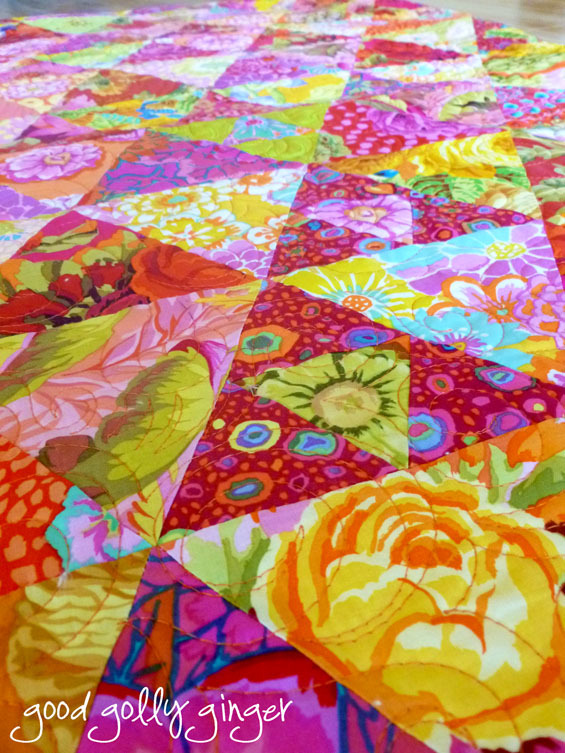 There is nothing like big, bright, delicious colors, all tossed together in one big beautiful quilt!